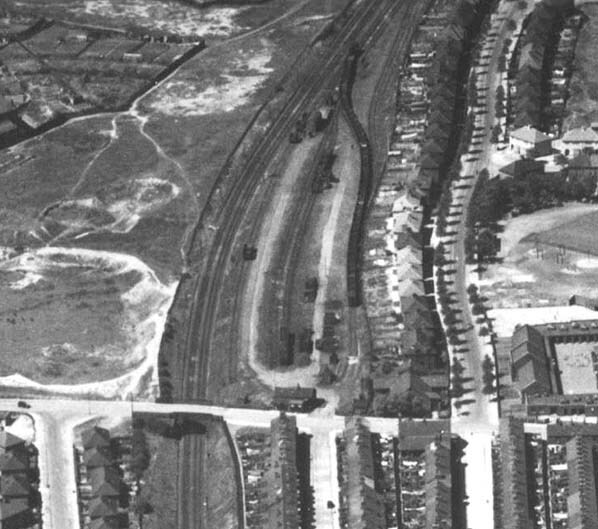 The Seacombe goods facilities which were located at Oakdale Road are seen in this view from the air in 1946. The yard appears to be busy with a long rake of wagons standing in one of the sidings. A Wrexham Central service prepares to depart from the recently reconstructed island platform at Seacombe Station in August 1953. 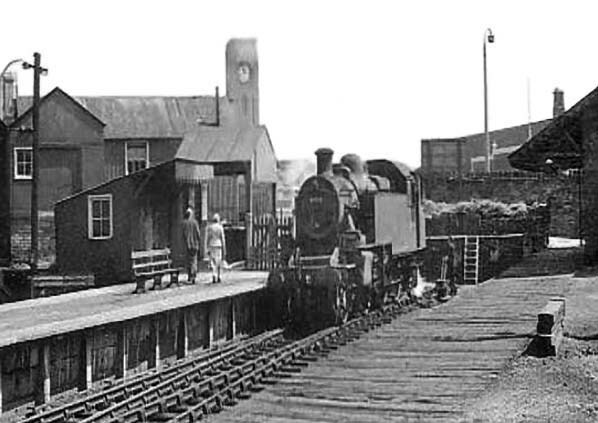 With the ending of the West Kirby service in 1938 three platform faces were no longer necessary. British Railway's decided that only the island platform needed to be upgraded and the platform on the right of the picture was taken out of use. In the background the clock tower of the Seacombe Ferry terminal from which ferries operated to Liverpool can clearly be seen. Having just brought in a Wrexham service in the late 1950s the locomotive has run forward towards the buffer stops at Seacombe station so that it can run around its train. 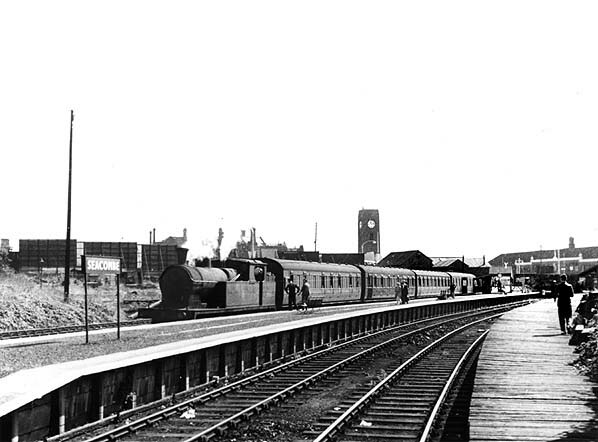 Looking towards the northwest at Seacombe station in 1959. By this date only the island platform, which had been reconstructed in the early 1950s was in use. Previously the island platform had been of wooden construction just like the disused platform that can be seen on the left of the picture. A tank engine prepares to run around its train which would then depart for either Wrexham Central or Chester Northgate. 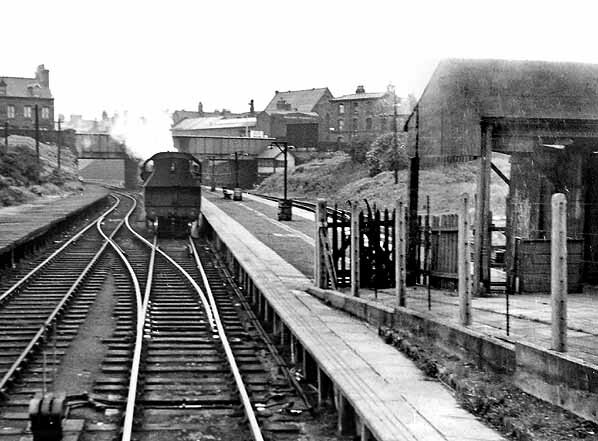 Looking west from the 1950s built entrance at Seacombe station shortly after it had closed in 1960. Originally both of the stations platforms had been constructed out of wood but in the early 1950s the island platform was rebuilt using concrete backfilled with gravel. A new entrance was created from Borough Road at the same time. The platform to the left of the picture was taken out of use after the island platform had been reconstructed. 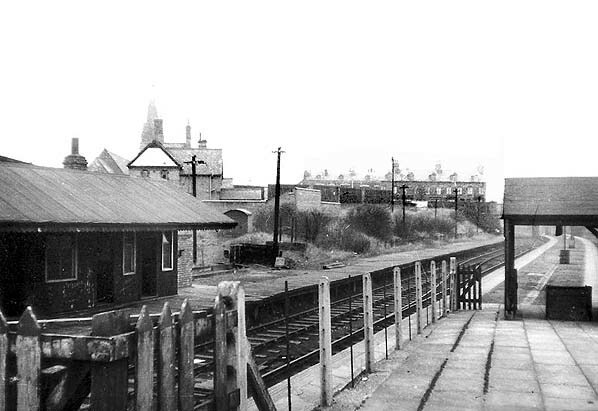 The building on the left is the original station ticket office and waiting room.